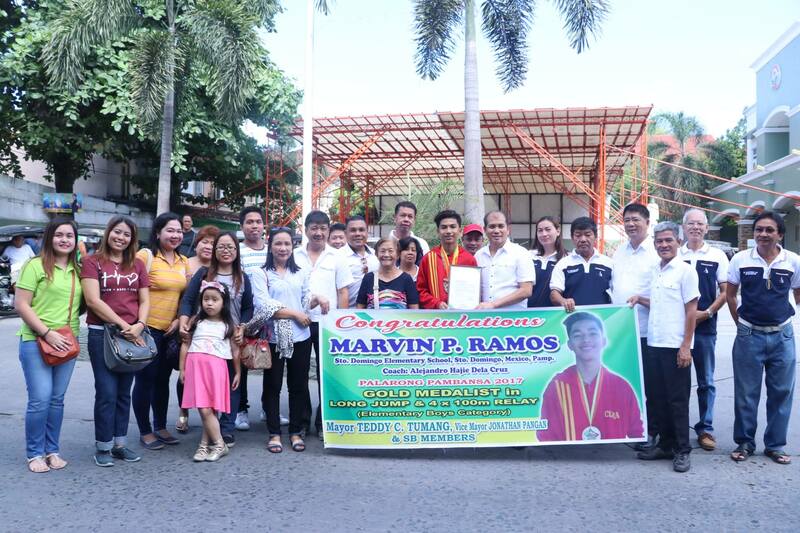 The recognized young Mexicano is Marvin P. Ramos, an elementary student from Barangay Sto. Domingo, this Municipality. Ramos represented the whole Region III in Palarong Pambansa and successfully won a gold medal in long jump and 4 by 100 m relay held in San Jose de Buenavista, Antique last April 23 to 29, 2017. Ramos was granted a financial assistance amounting to ten thousand pesos (Php 10,000.00) in recognition to the pride that he has given for the town of Mexico. Mayor Tumang encouraged the youth to do their best in whatever field they would like to take and he assured them that the whole municipality will always be proud of them.